Patrick Albert Lyons was born June 28, 1941 in Brockton, MA and grew up in Foxboro. He was the son of Joseph T “Ted” Lyons and Jean W. Lyons and the oldest of four children: Terrence, Raymond and Janet, all residents of Foxboro. His father, Ted, and Ted’s brother, Tom, ran the family business, Patrick Lyons Greenhouses at 303 Central Street, before handing the business down to Terrence and Raymond. Both Patrick and his father were accomplished violinists who played with the Norwood Symphony Orchestra. His mother frequently accompanied him on the piano in local recitals. His son, Thomas, now carries on the family tradition as a renowned bluegrass fiddler, primarily in the MD/DC/Virginia area. 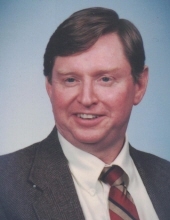 Patrick attended Foxboro High School and received his Master’s Degree in History in 1964 from Boston University, followed by studies in Greek and ancient philosophy at Harvard Summer School. He later attended the University of Maryland in College Park, MD, studying agricultural and resource economics. After graduation from BU, he went to the US Navy’s Officer Candidate School in Newport, RI. He received a commission and was assigned to the Naval History Department in Washington, DC. While in Washington in 1968, he married his wife, Regina Lyons (nee Siegenthaler) who worked as Secretary to the Ambassador of Switzerland at the Swiss Embassy. In 1969, they joined Catholic Relief Services and moved to Dakar, Senegal, West Africa. Patrick went on to become Director of the CRS offices in Gambia and Cameroon. While in Africa, daughter Kathleen Elizabeth and son Thomas Michael were born. The family returned to the Washington, DC area in 1975, where Patrick worked for the US Department of Agriculture and daughter Delia Clare was born. While living in Hyattsville, MD for 25 years, Patrick was a parishioner at St. Bernard’s Church in Riverdale, where he taught CCD, and was a Eucharistic minister and member of the RCIA team. In 2000, Patrick and Regina retired to Foxboro, MA, where they were parishioners at St. Mary’s and on the Board of Directors of the Norton Institute for Continuing Education. Patrick was also Program Chairman for the Foxboro Historical society, President of Patrick Lyons Greenhouses, advisory board member of Credo International, and a member of the Boston Wagner Society. Patrick was a life-long fan of the Boston Symphony and a frequent attendee of classical music events at Wheaton College. The Lyons family became dachshund owners in 1970 and through the years the family has included dachshunds Hazel, Elsa, Sophie, Siegfried and currently Hansel, who lives with cats Lily and Domingo. Patrick is survived by his wife Regina Lyons of Foxboro; his daughter, Kathleen Douglas and son-in-law, Ron Douglas, of Burlington, CT; son Thomas Lyons and daughter-in-law Rebecca Williams of Hyattsville, MD; and daughter Delia Lyons of Foxboro. Also his sister Janet Roxborough and her husband Joseph Roxborough; his brother Terrence and his wife, Linda; and his brother, Raymond, all of Foxboro. Also many cousins, nieces and nephews. Patrick died peacefully on November 15, 2018 after a 7-year battle with cancer. Relatives and friends are kindly invited to attend calling hours on Friday, November 23 from 3 PM to 6 PM at the Roberts and Sons Funeral Home, 30 South Street, Foxboro. A funeral mass will be held on Saturday at 11:30 AM at St. Mary’s Church, 58 Carpenter Street, Foxboro. Interment to follow at St. Mary’s Cemetery, Foxboro. For additional information please contact 508 543-5471. To send an on line condolence please visit the funeral home web site at www.robertsandsonsfuenralhome.com. "Email Address" would like to share the life celebration of Patrick A. Lyons. Click on the "link" to go to share a favorite memory or leave a condolence message for the family.